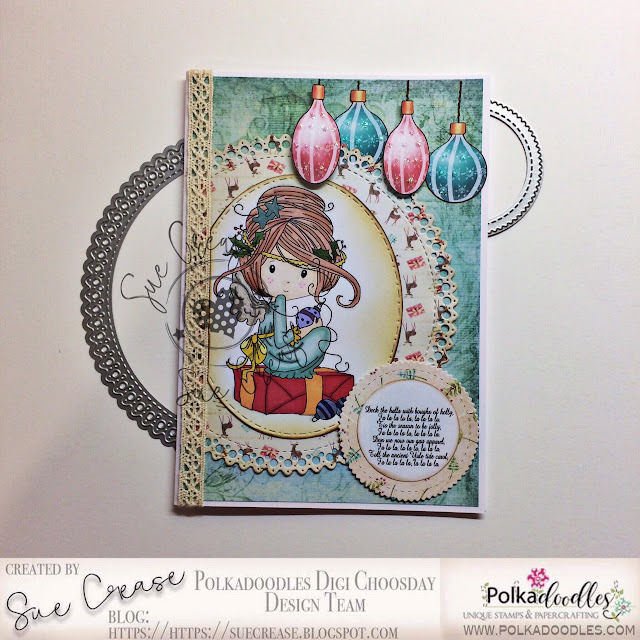 Jane P -Its beginning to look a lot like winter is upon us, with its beautiful falling snow. 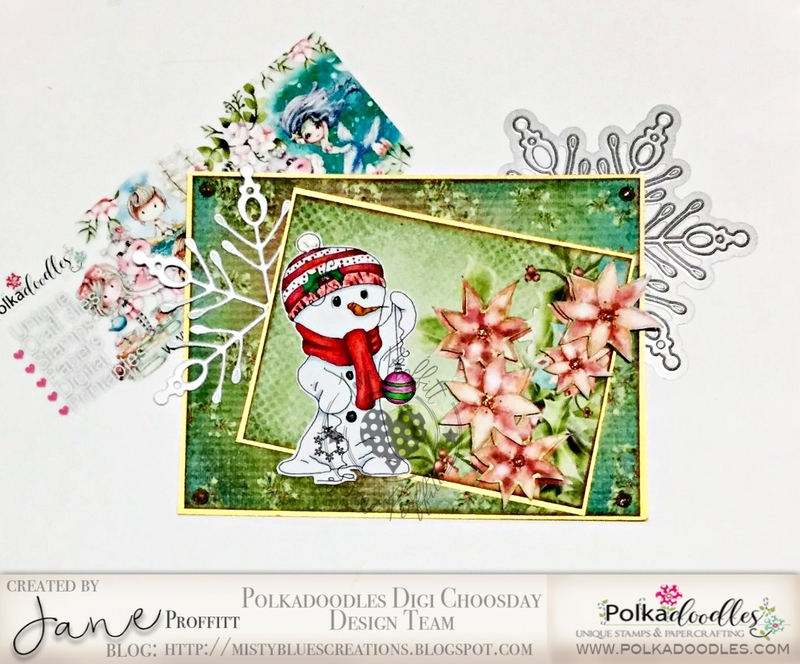 What better way to have fun than to make a snowman and Winnie in Winterland did just that! Katrina ~ We have a special Christmas tradition at our house and you can read about that on my blog! These tags made with the cute Pancake Heaven Miss Sugarpops digi are perfect to gift our holiday tradition to our friends! 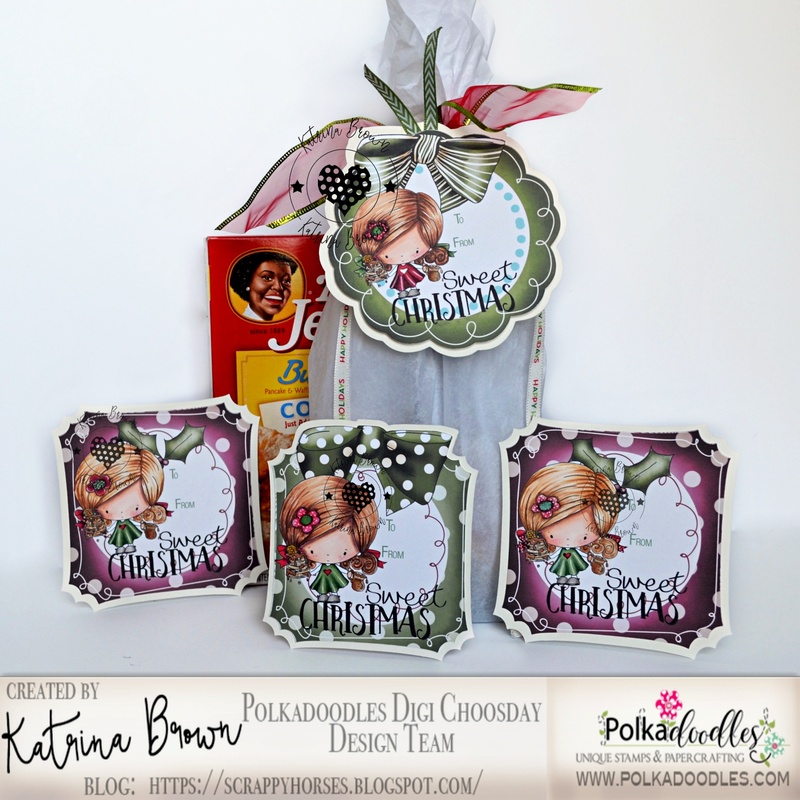 I have combined her with tags from Baked with Love and sentiments from Pancake Sentiments and Winnie White Christmas. 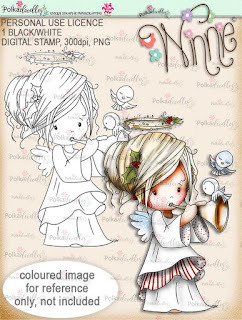 Maritza Hello friends, for this week, I made two shaker envelopes for Christmas, for it's realization I have used Rudolph Twiggy Toots digital stamp and Angel Owl Twiggy Toots digital stamp; digital papers are Winnie Winterland paper heaven 1, sentiments are Festive Word Art Winnie White Christmas. Sue..I've made a start! 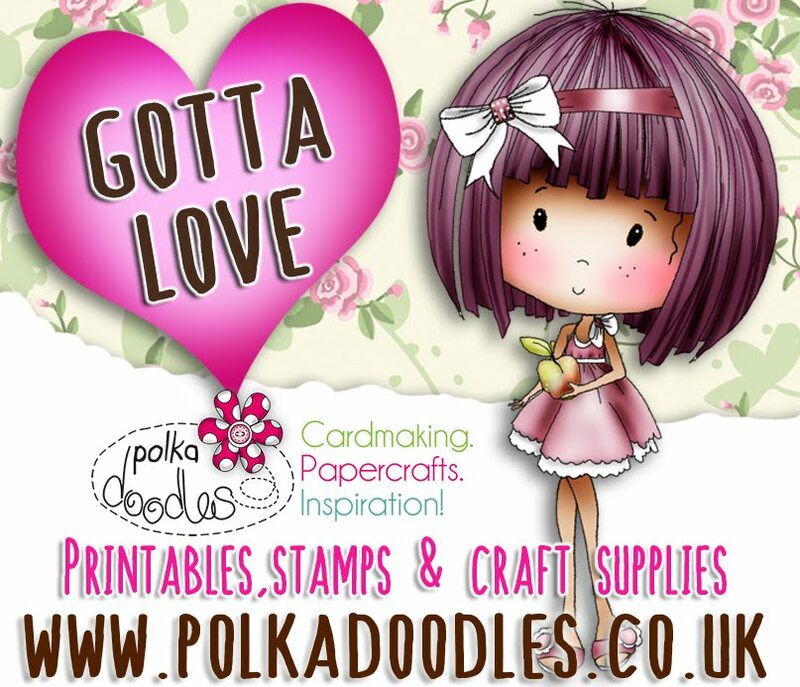 Christmas will be upon us before we know so it's time to make a start. I'm using a image, background papers, sentiment and embellishments from the gorgeous winnie-winterland-big-kahuna-digital-craft-download to make my card . 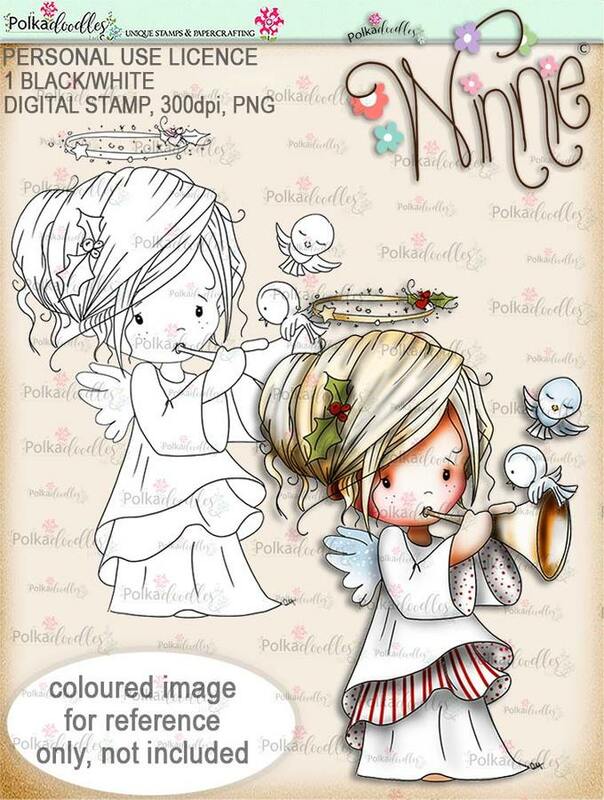 Please email us HERE quoting DCW42001to claim your prize of 3 digi images from the digi store! Guest Designers - This would be for an 8 week term and a total of 4 projects, starting in June. You must have a blog and be willing and able to share your work across social media. 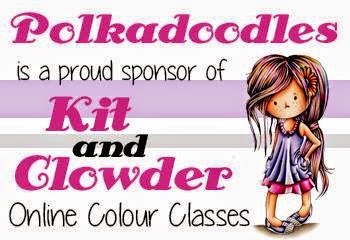 If you'd like to apply please let us know by email HERE, including a short bio and links to your Facebook profile and Blog URL so we can see your work.... Please title your email 'Digi Choosday GDT. Don't forget to check out all our Christmas & Halloween releases in store...go check them out! 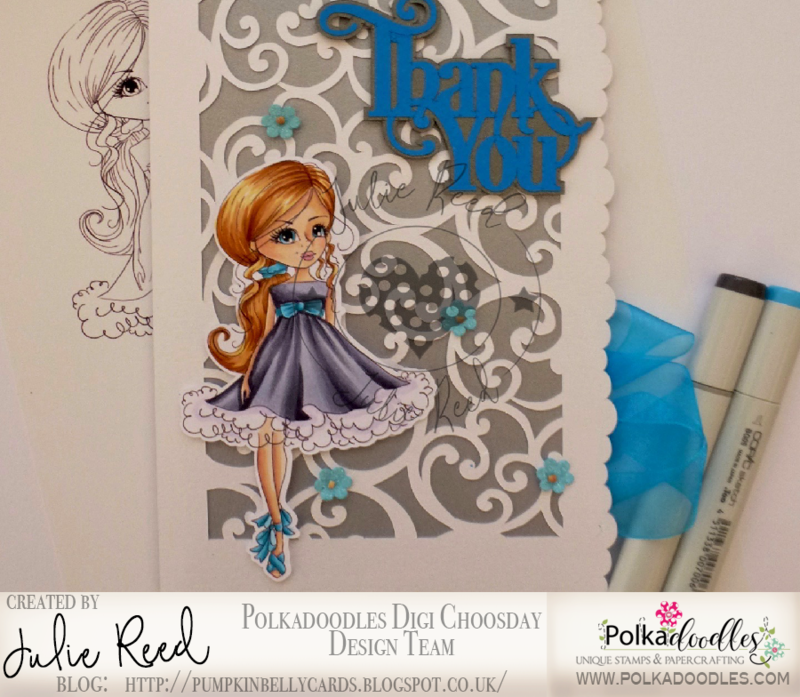 Julie Reed - It is always lovely to receive a thank you card, I have made this one using Ruby Frou Frou. Jane S - A simple little thank you card using the Fanciful Circles Die Set and the gorgeous January Pocketfuls of Love. Jennifer - A sweet pastel thank you card from me today - this little elephant is just the cutest! 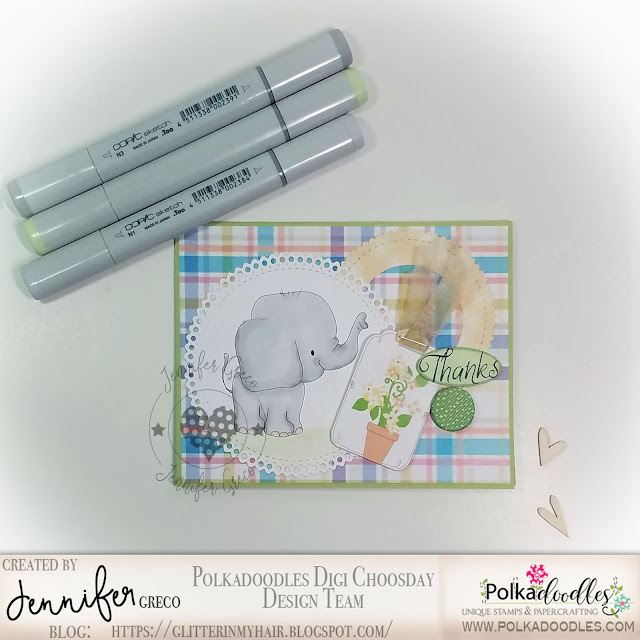 He is Giant Hugs Elephant, and I've used him with the Fanciful Circles Die Set, paper from Winnie Celebrations 3 and Sugar Sprinkles 4. 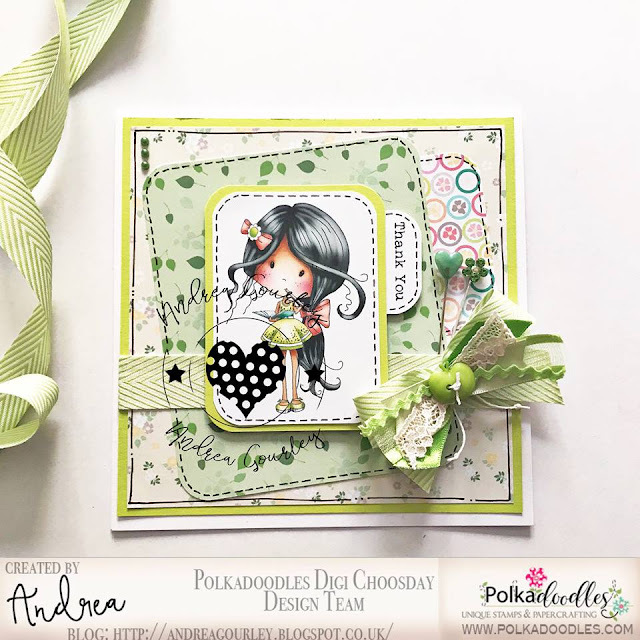 I've added a tag from a Winnie Fruit Punch design sheet, and the sentiment is from the Helga Hippo bundle. 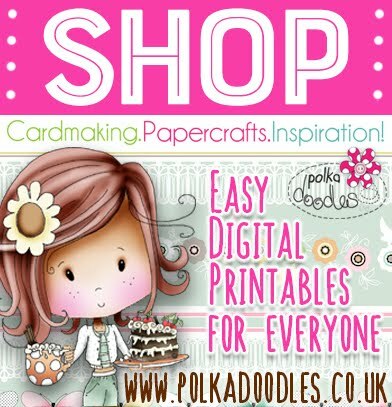 Please email us HERE quoting DCW41001to claim your prize of 3 digi images from the digi store! 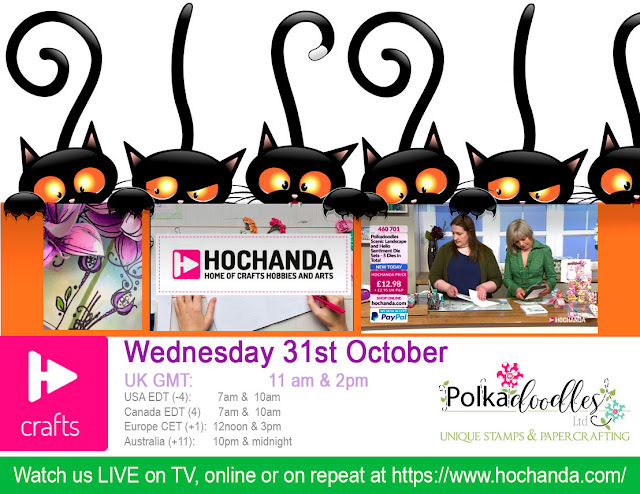 Don't forget you can also enter our other challenges which are running over at POLKADOODLES and AGEMOFACHALLENGE...get your entries in! 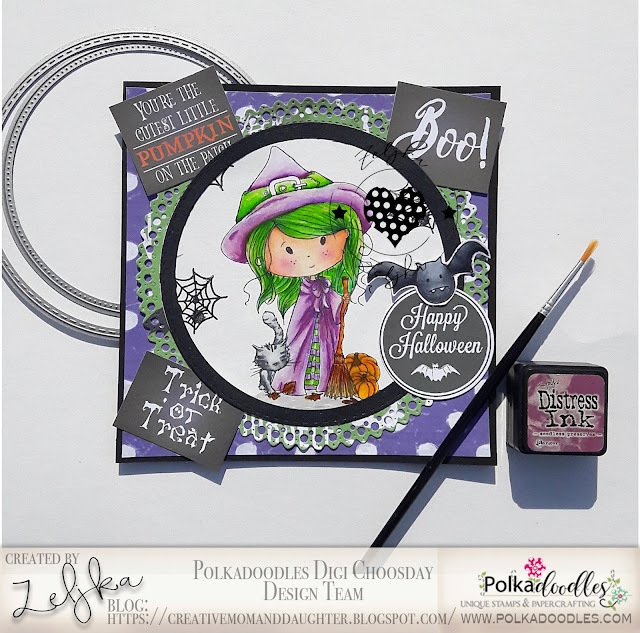 Liz - I have made a little 'not so scary' set for Halloween. 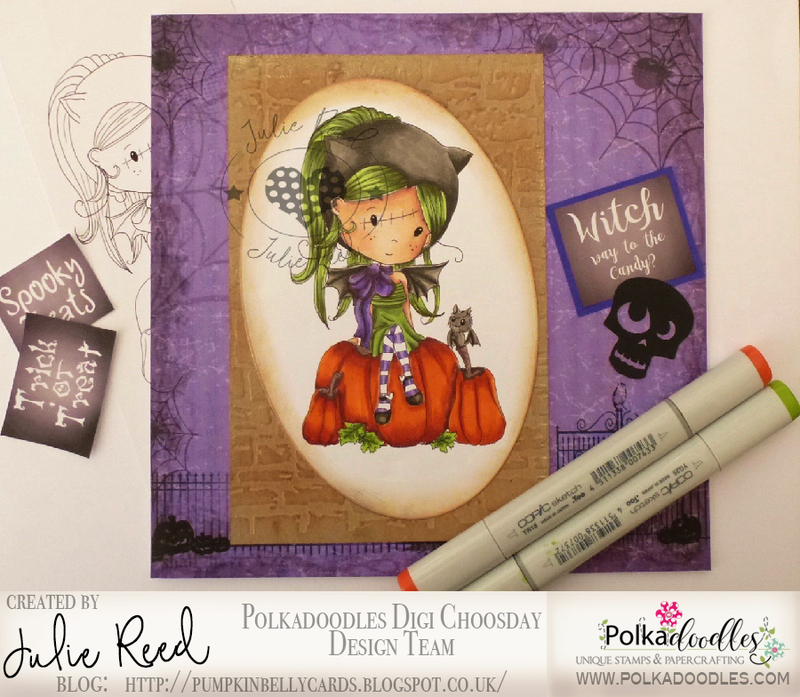 I have used the Mummy digital stamp and paper from the Halloween/Autumn Paper Heaven 1 digital bundle. I coloured all the Mummies with my Copic Marker Pens. Oh, and no sweets were eaten during the making of this set!! 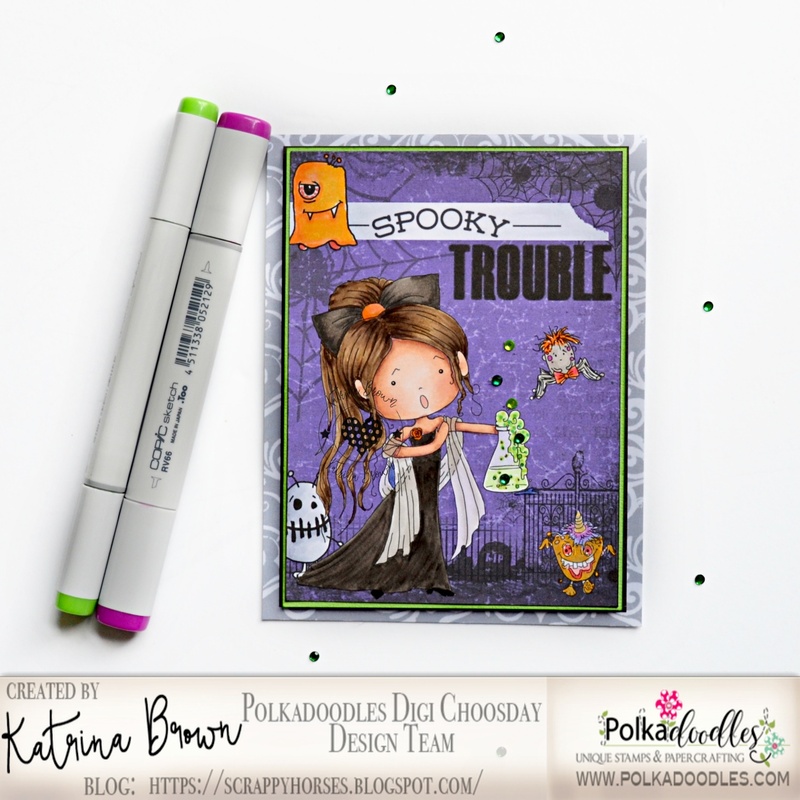 Katrina ~ It's a spooky night at the opera; come read about it on my blog! 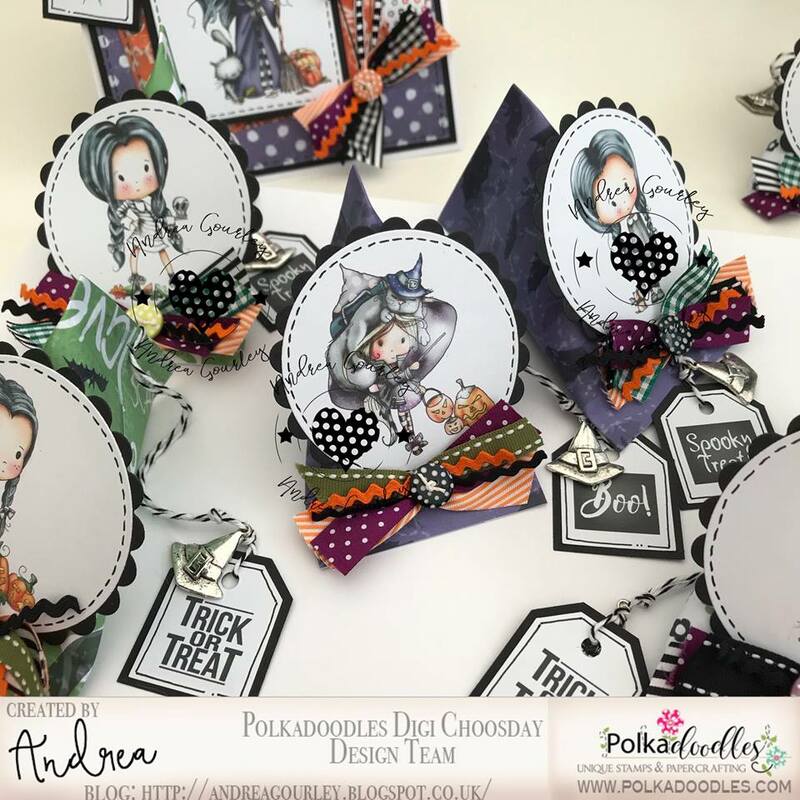 This scary scene is made from a few collections including: Feel the Music, Winnie Wednesday, and Little Monsters. ..
Sue - I've made a "spooky" easel card today using Precoloured Winnie Wednesday-trick-or-treating papers from Halloween-trick-or-treat-printable papers-3 and a few sentiments from trick-or-treat-printable-sentiments . She is so cute don't you think? 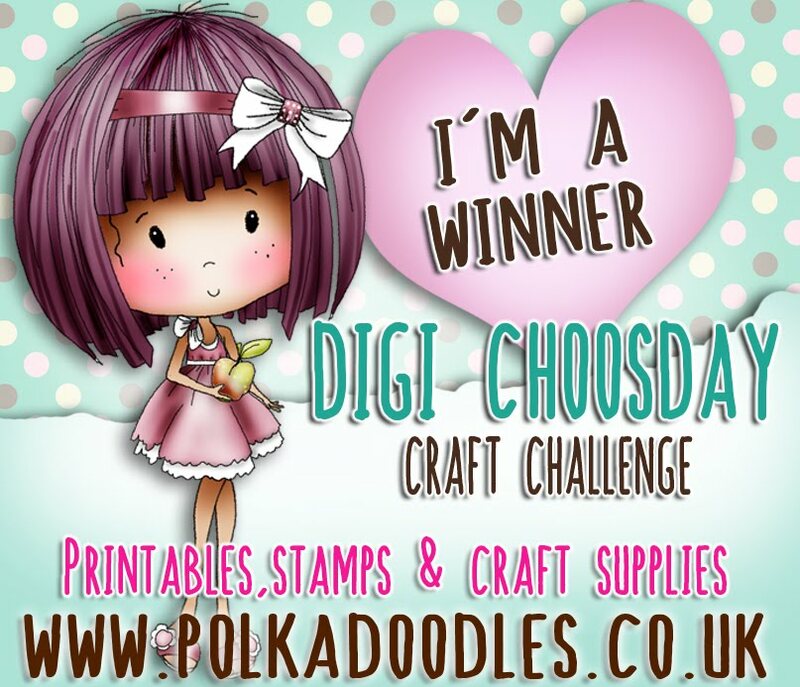 Please email us HERE quoting DCW40001to claim your prize of 3 digi images from the digi store! 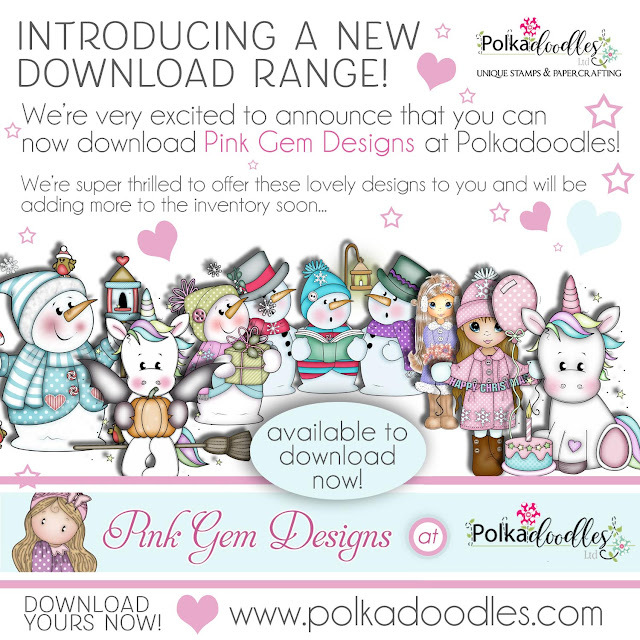 We are REALLY thrilled to announce that PINK GEMS DESIGNS digital stamps will now be available to purchase through the Polkadoodles store! Julie Reed - What little person does not love halloween and all the candy that comes with it, I know my son does, so here is a Halloween card I have made for him, using an image, sentiments and papers from Winnie Wednesday. Jennifer - Love this little Manny Monster! Purple and green are perfect for him. 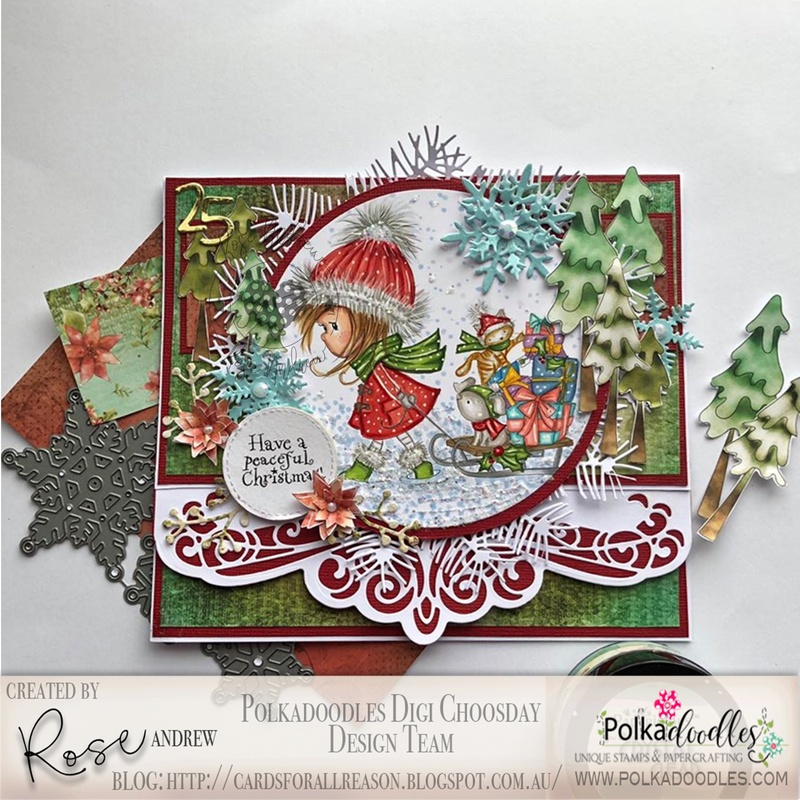 After coloring, I've die cut him with the amazing and versatile Fanciful Circles nested die set. To create my project, I've paired him with papers from Winnie Wednesday - Papers 3, and Helga Hippo - Papers 3. My sentiment is from the Hey Pumpkin clear stamp set. 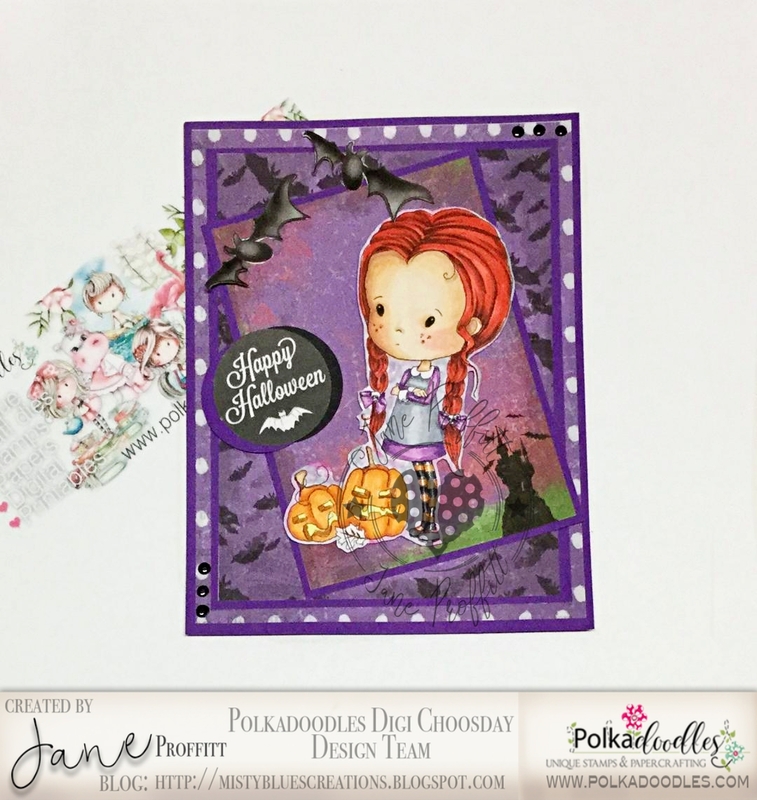 Jane S - My spooky card uses one of the fabulous Ickyink images, Oddella With Bag (but I've covered it with a pumpkin) that I have coloured with Copics. 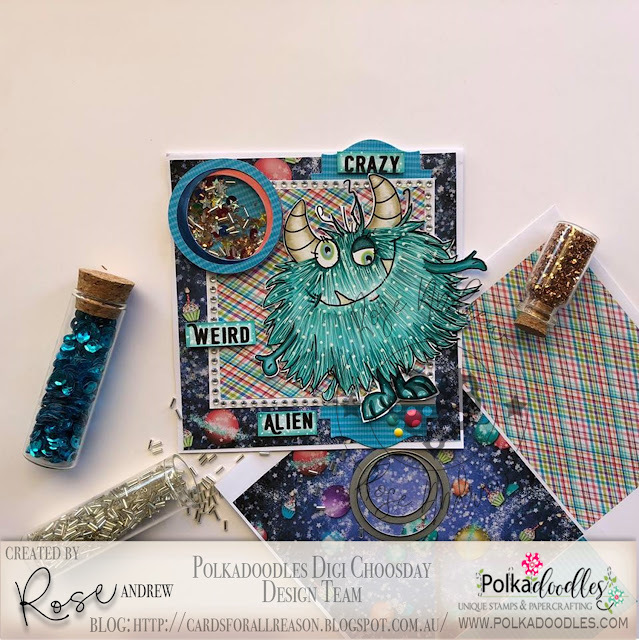 I created a watercolour background and used a couple of the versatile Polkadoodles Stencils to create some crazy looking spiders and dripping goo!! Željka-Hello!!! 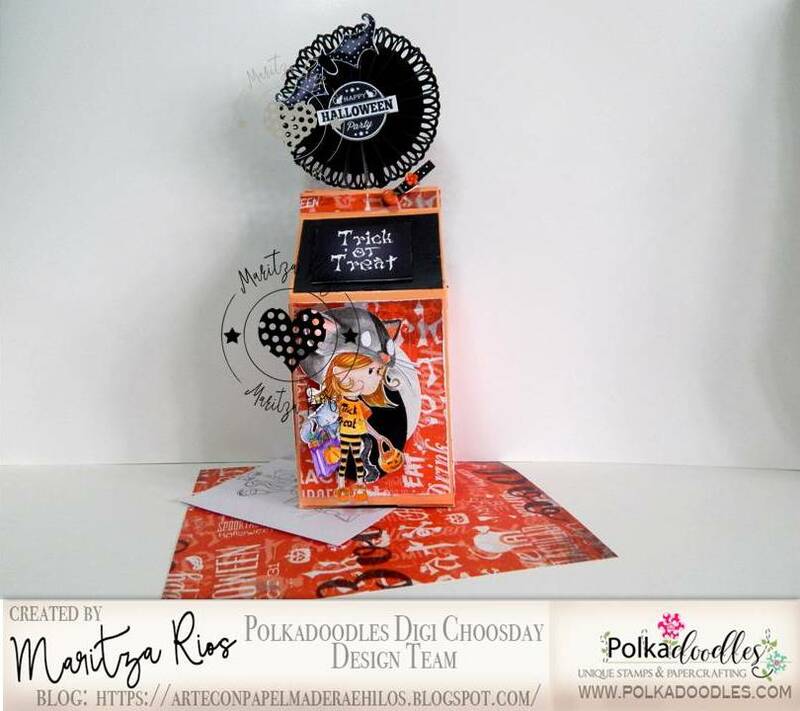 For today's task I used Winnie Wednesday Witch & Cat and the papers from Halloween Trick or Treat printable download papers 2 - and Halloween Trick or Treat printable download papers 3 or you can find it all together at Winnie Wednesday Halloween BUNDLE Collection .I also used some elements from Fab-boo-lous Halloween clear stamp set . 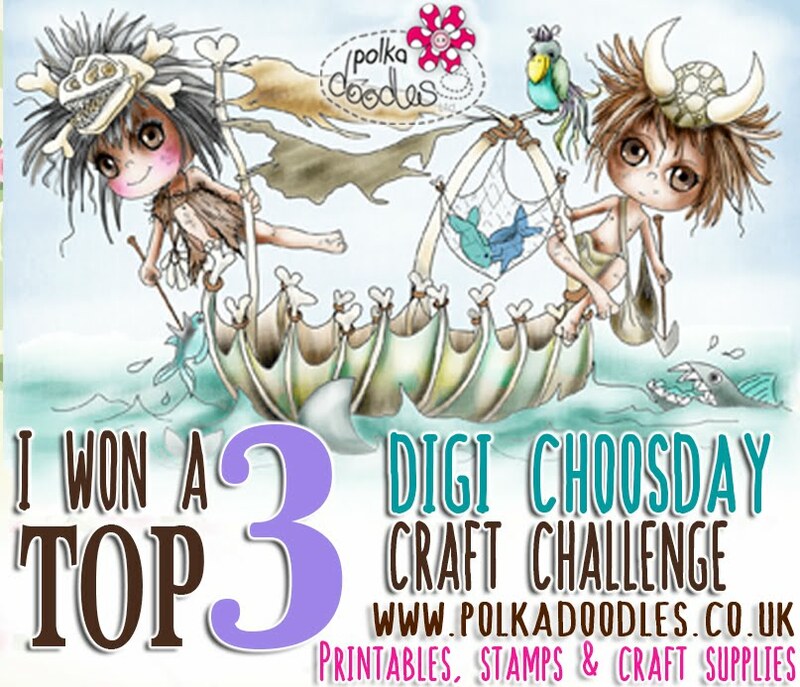 Please email us HERE quoting DCW39001to claim your prize of 3 digi images from the digi store!